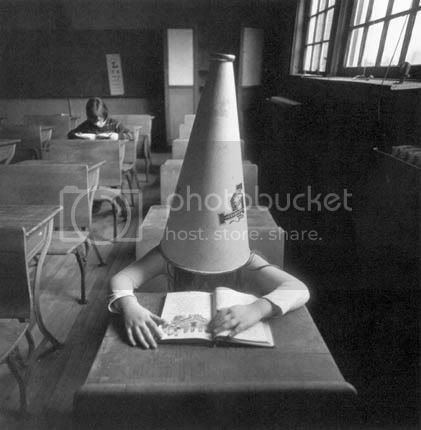 Blogging for a Dunce: Why She Demurred ~ Android Forever! I just ran across a fascinating article by left-wing blogger Lindsay Beyerstein titled "Why I Refused to Blog for Edwards." If you're not completely off-planet regarding political news, you'll recall that Democratic candidate for president, John Edwards, made a couple of colossal political blunders recently: First, he hired a couple of firebrand leftist bloggers to blog for his campaign. Second, he defended and refused to fire them when their virulent anti-Christian posts were exposed to the glaring light of the real world. To Beyerstein's credit, she recognized the inherent dangers represented by the idea of hiring bloggers like her to shill for a presidential campaign. It occurred to her that some of the controversial stuff written by these kinds of bloggers might become an issue. She smartly turned down the offer in spite of being flattered and powerfully tempted. So here's my question: If she could see disaster coming, why couldn't the Edwards campaign? And here's another question: Why does Beyerstein focus her anger solely on the evil right-wing hit men who shone their lights on the other bloggers' nastiness? Shouldn't she have been somewhat disillusioned by the lack of political acumen made manifest by the managers of Edwards' campaign? Come on. In any case, the article makes for an interesting read.